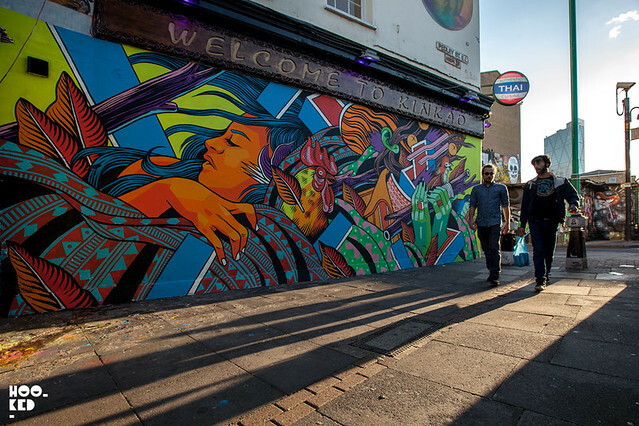 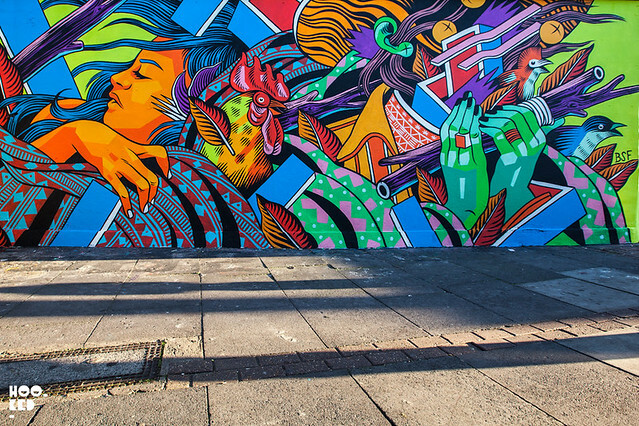 Brazilian design and illustration collective, Bicicleta Sem Freio which translates into “Bicycle Without Brakes, have rolled into London with one of the collective's trio working over the weekend to create this visually eye catching mural just off Brick Lane in East London. 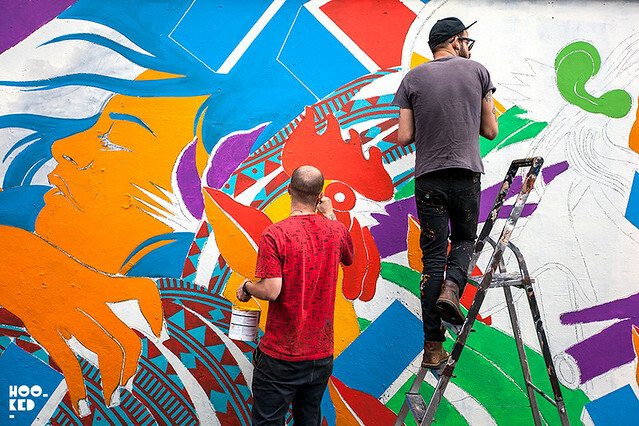 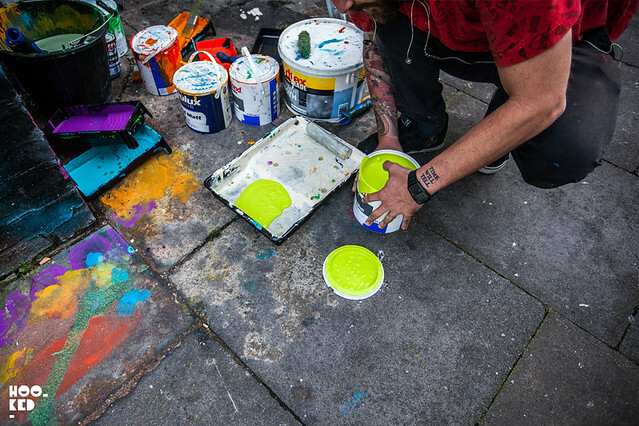 Hookedblog caught up with the artists as they worked on the mural over the last three days. 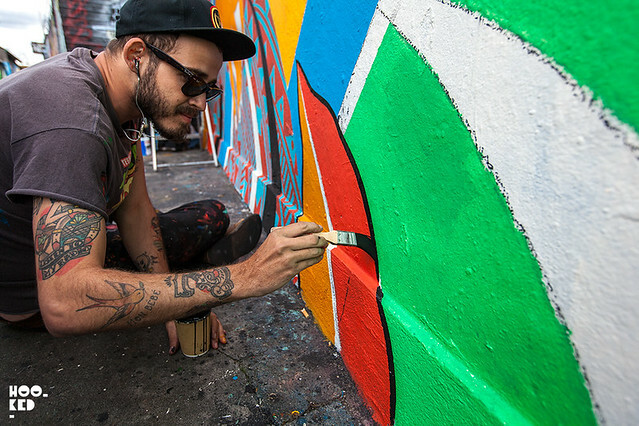 Check out some of our photos of the artists at work as well as the completed mural below. 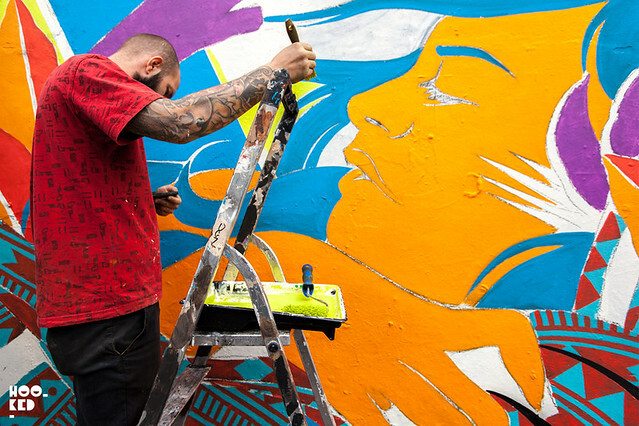 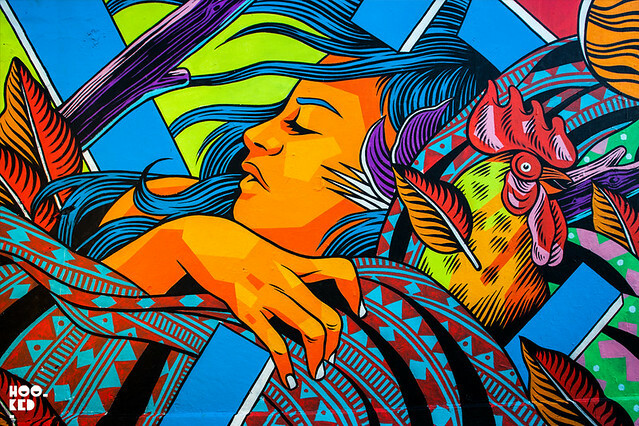 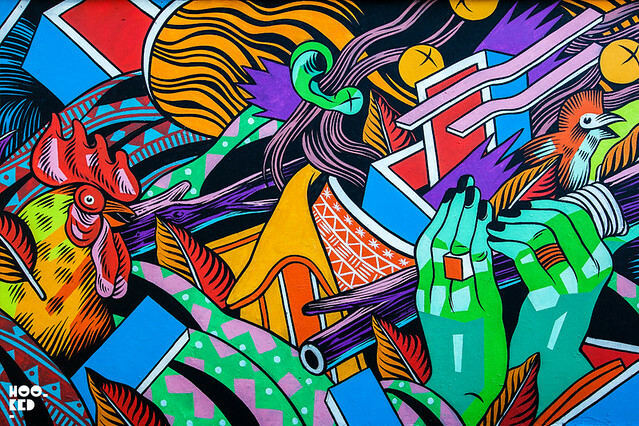 Shout outs to our friends at JustKidsOfficial who hooked Bicicleta Sem Freio up the wall.